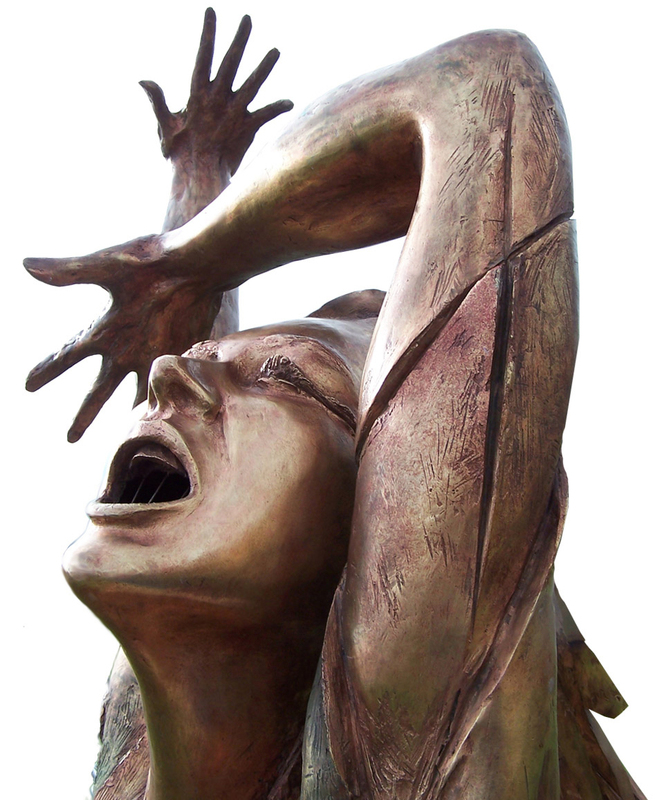 The lost-wax casting is a process for manufacturing bronze statues that has been used since ancient times. Two lost-wax techniques exist: the direct and indirect methods. With the direct method, the artist creates a wax model, then coats it with clay to produce a mould; the mould is subsequently heated to let the wax escape and the empty cavity is filled with molten bronze. The final piece thereby obtained is solid and identical to the wax model. Conversely, with the indirect method the final piece will be hollow and the wax model is created from the mould of a first clay model. 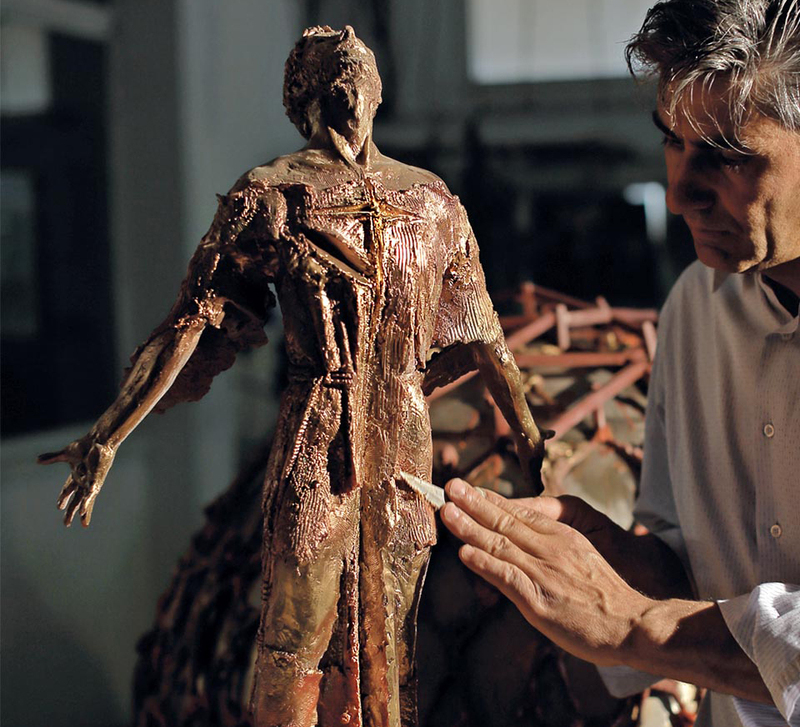 As a first step, the artist creates a clay model of the statue, from which a negative mould is obtained, nowadays made of silicone, whereas traditionally the material used was plaster. 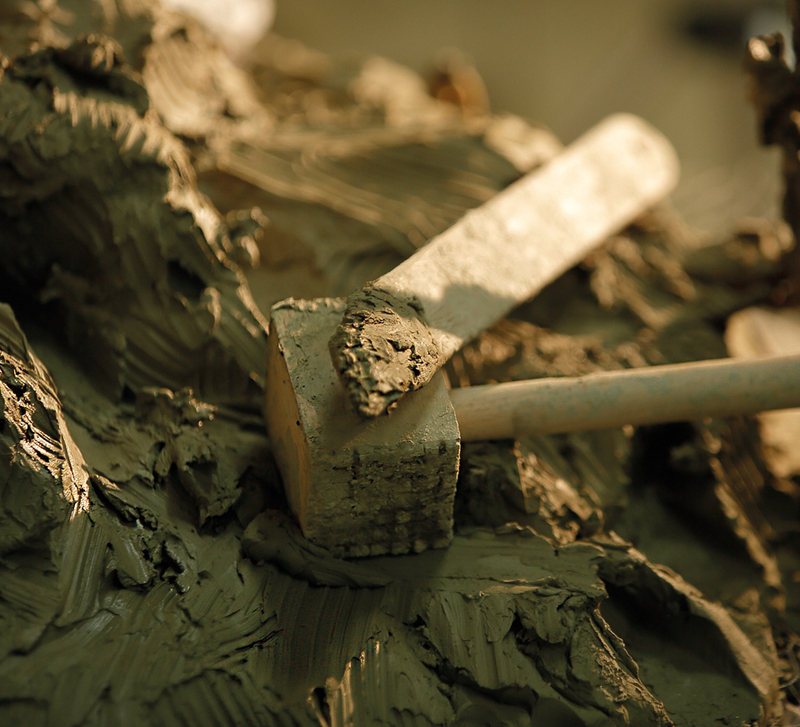 Once the silicone has hardened, the clay is removed and the mould is coated with liquid wax using a brush. The wax allowed to set and, when solidified, reproduces the original model; the artist works on this wax replica to minutely focus on all the detailing that will be reproduced on the final statue. At this point, the wax model is fitted with tubes and supports, which will serve as runners for the molten bronze to flow through and as air vents for gases to escape. The thickness of the wax will determine the thickness of the bronze in the final statue since, once the molten bronze is poured in, the wax melts and is therefore lost, replaced by bronze. Bronze is a metal alloy composed of approximately 90% copper and 10% tin; depending on the exact proportions of the two metals, the melting point varies, roughly between 880 °C and 1020°C. 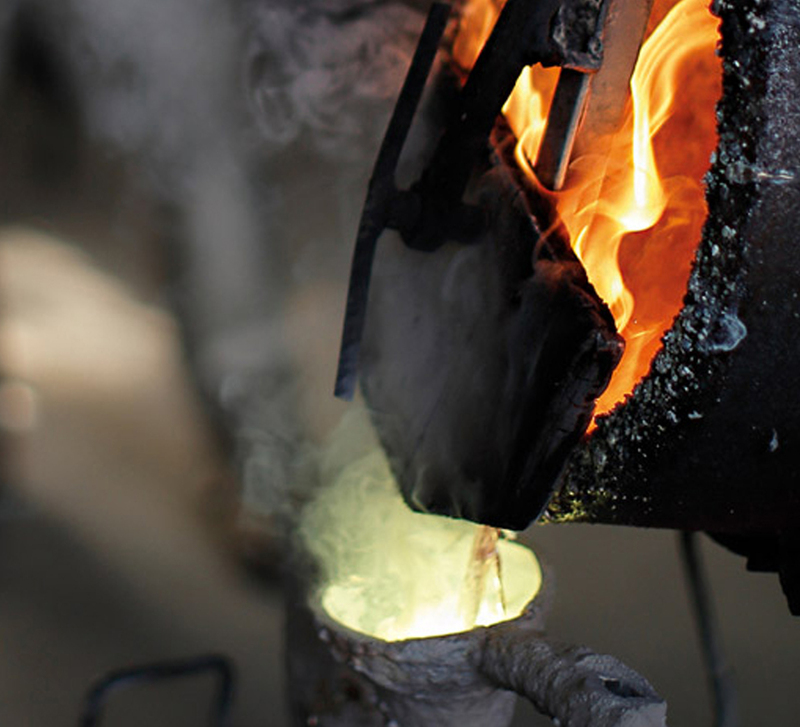 The molten bronze is poured into the casting mould held upside down, which, after cooling, will be opened to reveal the bronze figure. The bronze statue must now undergo an additional process, equally long and exacting, that includes the cleaning, finishing, and polishing of the surface. The metal runners, also made of bronze, must be removed and all parts of the sculpture must be finished off. This is the stage when any components that were cast separately can be welded to the main body of the sculpture. Various processes and chemical substances are used by the artist to give bronze a wide variety of blue and green hues, while polishing is performed on parts that will take on a golden glow. As a naturally occurring process, the development of a patina results from weathering, which leads to the oxidation of the bronze surface.